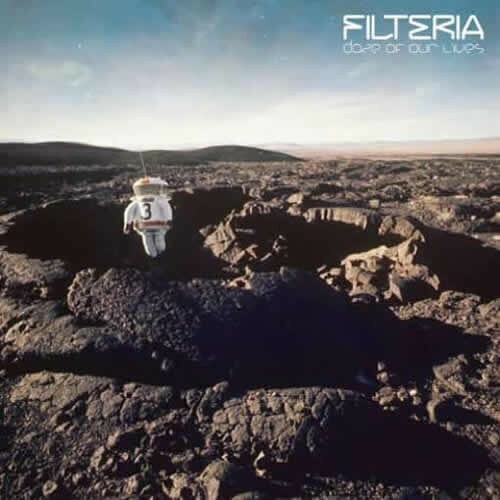 After 2 successful albums, and 3 years of sonic research and dancefloor live-testing, Filteria is back with more innovation, better production, and a new definition of Goatrance!Filteria is known for his rollercoaster tracks filled with killer climaxes. Since his debut in 2004, he kept surprising the listener and pushing further the effects of music-driven psychedelia. He is also behind the mysterious project K.O.B. thats starting to get strong attention in the scene. Jannis Filteria is also known for his energetic live act that takes the dancefloors by storm. Worth mentioning that he always plays live remixes and unreleased tracks. This reputation made him tour the world in the last 3 years (Brazil, Israel, Mexico, Russia, Switzerland, Ukraine, Turkey, Belgium, Finland, Portugal..) and participate in Major festivals such as Universo Paralello, Fullmoon, or Aurora.While appearing in several compilations, Jannis kept feet and hands in his all-analogue studio to produce the pure organic madness of Daze of Our Lives.Daze of Our Lives, while staying a Goatrance album, introduces a new sleek approach, reaching out to a totally unseen aura. An exclusive experience that will reset references and mark the history of Goatrance.Stunning Mastering by Tim Schuldt.